It has been a weird few months. It is hard to imagine not going birding throughout the spring but that has pretty much been the situation for me. Since the turn of the year I can sum up my birding experience in a handful of paragraphs. Here goes. 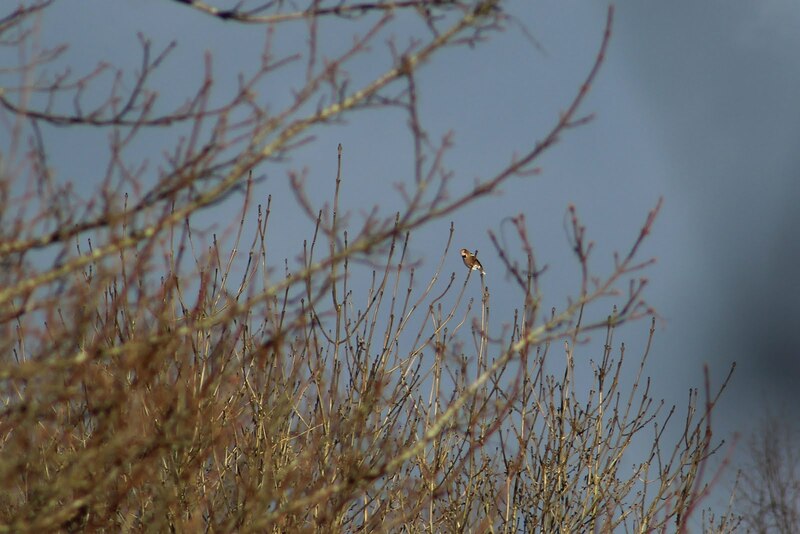 I spent one February afternoon in Capel looking for Hawfinch, then a couple of weeks later spent a morning on Box Hill looking for the huge flock of Hawfinch so brilliantly captured by Steve Gale on his North Downs and Beyond site. I managed to see about 50-60 of them. 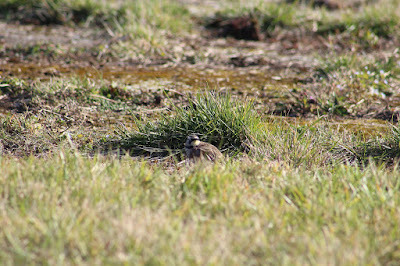 Then after that I had a brief visit to Staines Reservoir to view the Horned Lark on February 24. 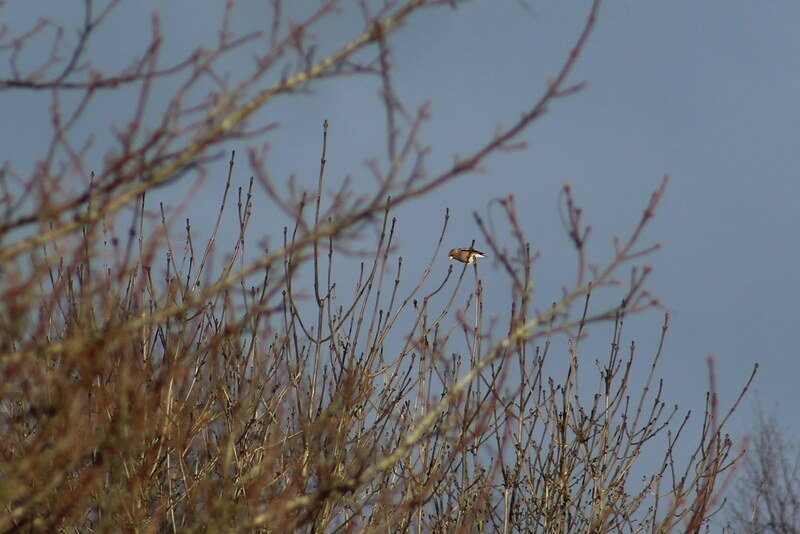 Despite the bare bones of a birding year so far, I have actually had a couple of patch firsts. 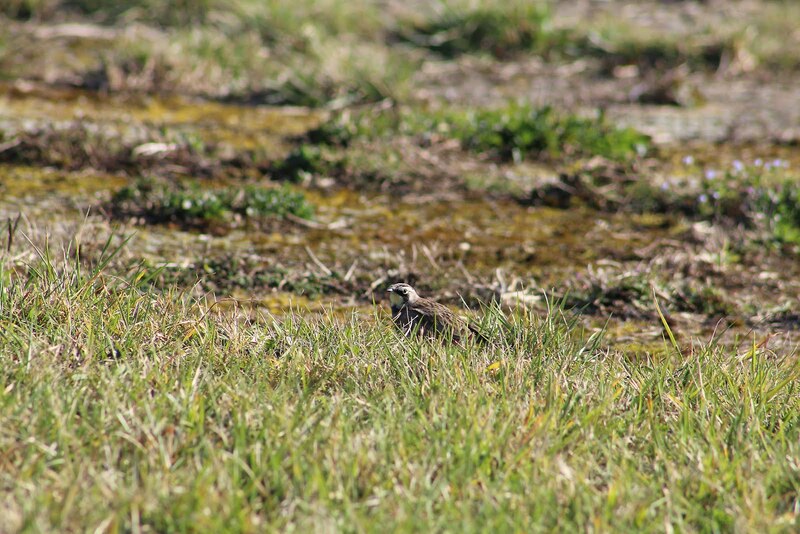 A few brief walks around the Moors on the local patch in March during the biting Beast from the East cold snap conjured up my first patch Golden Plover. Then recently I saw my first Holmethorpe Ringed Plover on the Water Colour island. 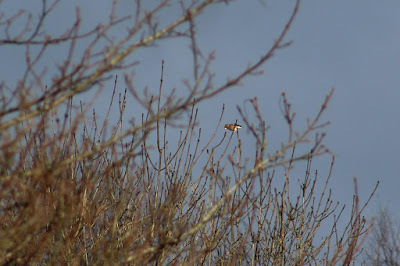 The only other highlight occurred one late morning when I bumped into Gordon Hay at the Water Colour lagoons just as a Hobby flew over and grabbed what was probably a Sand Martin. Then this morning Annie and I took a quick walk around the Water Colour lagoons before I headed off to London to put together the Daily Star 16-page Derby pull-out for Saturday's paper. It was actually a very pleasant walk, with very close views of a Common Tern perched on a post (I didn't have my camera with me) while its partner fed over one of the lagoons. A number of Reed Warbler were chattering away in the reeds, while numerous House Martin busied themselves on the island collecting mud for the their nests, along with a neurotic d hoping to find a mate. It was a very happy scene. 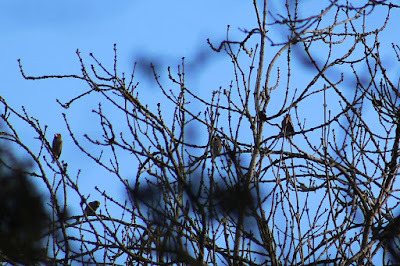 The birds were singing and there was plenty of activity. Nature at work. But that has been it. A great pity, because the local patch has produced the goods so far this year, although I haven't been able to keep up to date records for the year on the Homethorpe website for everyone to read about them. I will set about that task soon but it will take time to get back up to speed. I took it upon myself to write a sequel to my previous self-published effort, The Sound and the Fury, which was written 18 years ago. 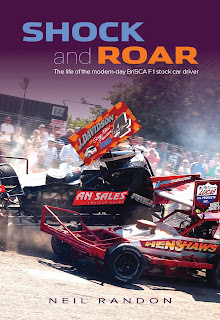 I have been a fan of BriSCA F1 stock car racing since I was a kid and have been directly involved with the sport on and off over the years and more so during the past 18 months. Once I has decided to go for it, everything else fell by the wayside. The book took over. While working at the Daily Star and the Daily Express as part of the day job, any spare time I had was taken up with the design and writing of Shock and Roar. I had forgotten what a huge task it is producing a book, particularly if you are doing it all yourself. I had originally hoped to get it finished by February, but that imaginary deadline came and went, as did the next one in March. But there came a point when I had to take the plunge and commit to a deadline when the book would finally go to press. And boy, while I am used to deadlines, this was stressful stuff. Not only that, but I also took the decision to produce a couple of promo audio visuals to lead up to the book's launch – and they took time. And then there was the website. That had to be put together and set up to take payments for book purchases. It was bloody hard work. The other stress came from the fact I chose a printing firm who I had never work with before – in Poland. I had heard good reviews of this company in Krakow and the quote they sent me was extremely competitive. The bottom line is, if you want value for money when printing a book head to Europe. Even with delivery on top, it is by far the best way to go. But printing abroad involves more risk. Unless you can stay out in Poland for a week and oversee the process, you won't know how good a job has been done until you have the book in your hands. And then there is the insurance headache and whether your books will get to you in one piece without any dramas along the way. But the print quality was excellent. First class. They did their utmost to keep me calm and confident the outcome would be as I hoped. They certainly delivered. So I have the books, now I had to sell them. That also takes time and effort. Annie and I sold the first batch at a stock car venue for a two-day meeting, and that went well. But after that I have relied on online sales with continuing marketing on social media and press copies to motorsport publications. When the orders started to come through it meant evenings spent bagging up books and numerous visits to the post office. Or that has always been the hope! So far it has gone well, and reviews have been very good (my audience is easy to please!). And so having missed the spring migration, including the Ring Ouzels on the patch, the Pomarine Skua seawatches and countless great birds, including the Golden Orioles at Portland Bill, the American Bittern, the Snowy Owl et al I have, at long last, some time to spend watching birds. It is good to see you back! Whilst motorsport is really not my thing, I fully understand a passion taking over almost everything else. Thanks mate - I still have one or two more books in the pipeline. Not all motorsport either. Reckon you have a book or two in you if you ever find the time! Welcome back Neil and congratulations on the book. Having a design and production background myself I can totally understand the volume of work that has been involved. Your next project? 'The Birds of Holmethorpe' of course! Welcome back Neil, and congratulations on the book. Clearly a labour of love, I hope it pays off for you. Thank you Gavin. Perhaps one day we will meet somewhere along the south-western coast. Seems a tad unlikely this year though! Hi Neil, glad you are back in circulation. Look forward to seeing the Holmethorpe blog back in use before too long.